Google has a long history of taking up arms against Microsoft with services like Gmail and G Suite. So, it makes sense that IT admins are wondering if Google’s next battle with Microsoft might have something to do with Google Cloud Identity and Active Directory. Can Google’s identity provider (IdP), Google Cloud Identity, successfully compete against AD? 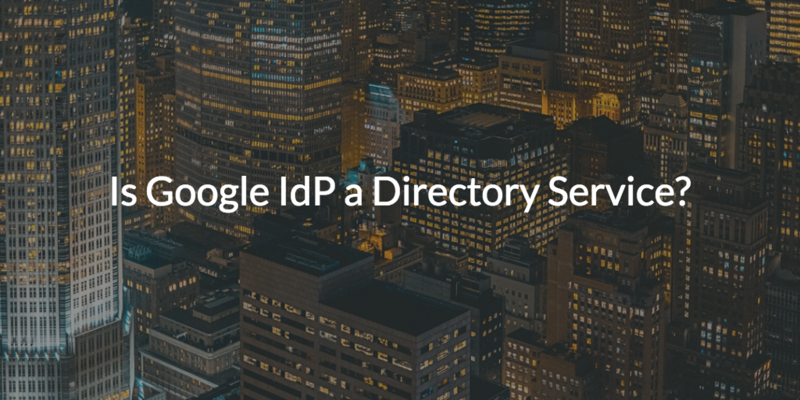 An even better question is, “Is Google IdP a directory service?” The simple answer is no. Google IdP isn’t a comprehensive directory service. Let’s take a look at what Google is doing in the IAM space. Doing so will help explain why Google IdP isn’t the solution you are looking for if you are interested in a true cloud directory. Google IdP is a user management platform for Google Apps and services. On top of that, Google IdP also acts as a SAML identity provider for third party web applications such as Salesforce and Workday. However, when it comes to being a core directory service with control over systems, legacy applications, files, and networks, the Google IDaaS approach breaks down. To be fair, Google’s focus on the IAM space has largely been with G Suite (formerly known as Google Apps) and Google Cloud Platform. That focus has led them to compete with Microsoft solutions such as Office 365, Azure, Windows Server, and Exchange. But, Google IdP is no competitor to Active Directory. Interestingly, Google has opted to sidestep competition with Active Directory. Instead, they’re trying to be a complement to AD. There are a wide range of reasons for this, but perhaps some of the most critical reasons are that being a core authentication provider requires being able to integrate with on-prem resources like Mac, Windows, and Linux systems. It would also require Google to support authentication services with their competition. As a result, Google has been much more interested in leveraging their IdP to be a user management system for Google Apps and services. This makes them a less than ideal choice for a directory service. 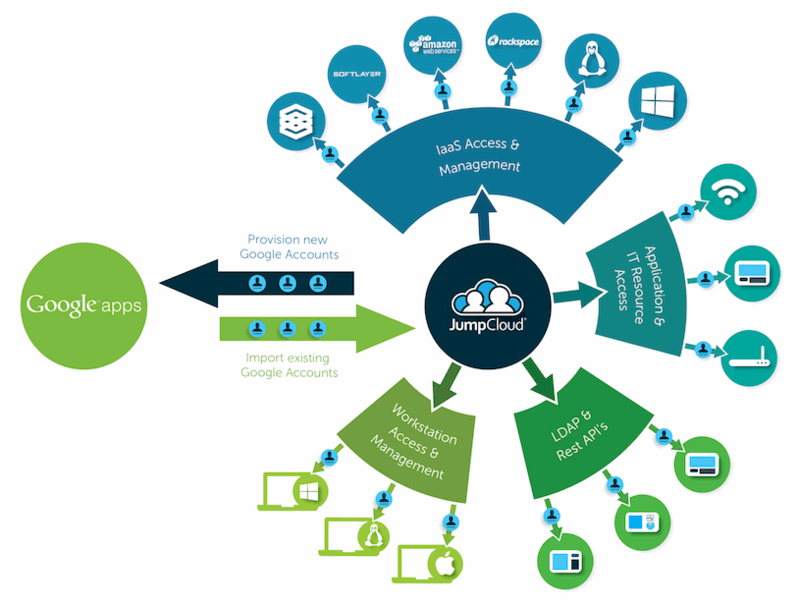 However, there is a third party solution called JumpCloud Directory-as-a-Service® that can function as a cloud directory, and it is tightly integrated with Google services such as G Suite and GCP. Let’s take a look at what this means for you. 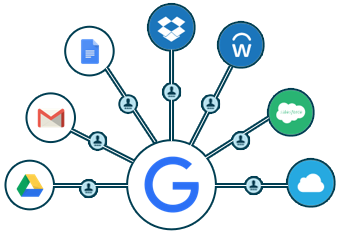 Additionally, JumpCloud Directory-as-a-Service tightly integrates with G Suite using an OAuth based API. This allows IT admins to provision, deprovision and manage G Suite users. 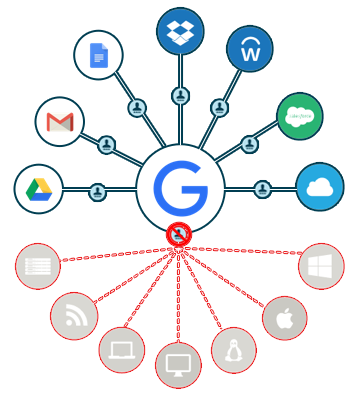 When combined with our full stack, IT admins can extend G Suite credentials to the kinds of systems, apps, file storage, and networks mentioned above. All in all, implementing our cloud based directory service will allow you to fully move your identity management strategy to the cloud, centralize user access to on-prem and cloud resources, and enable you to continue using G Suite and other Google services. If you still find yourself wondering, “Is Google IdP a directory service” please drop us a note. We’d be happy to have a conversation with you about why Google IdP is not a comprehensive directory service and why JumpCloud is. Of course, you don’t have to hear it from us. Read Eusoh’s Customer Story to find out why Google IdP wasn’t right for them. Ready to start testing how complete our cloud-based directory service is? Gain full access to our whole platform by signing up for a free account. You don’t even need a credit card and your first ten users are free forever.